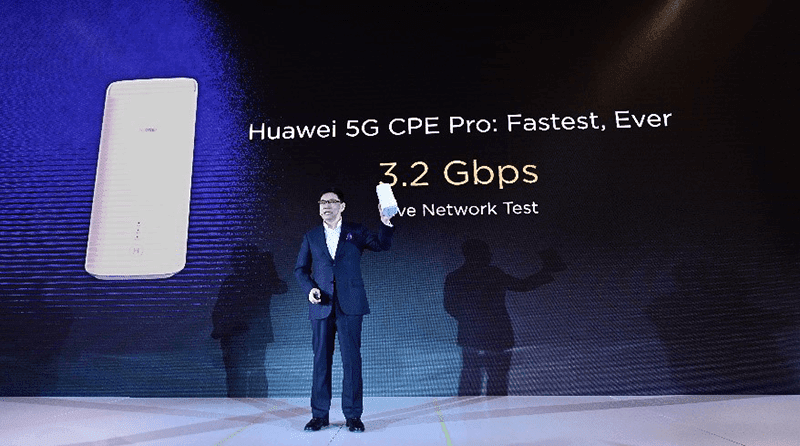 Huawei is starting to usher in the 5G era as they launch the first 5G core chip along with the 5G multi-mode chip, and 5G CPE Pro. 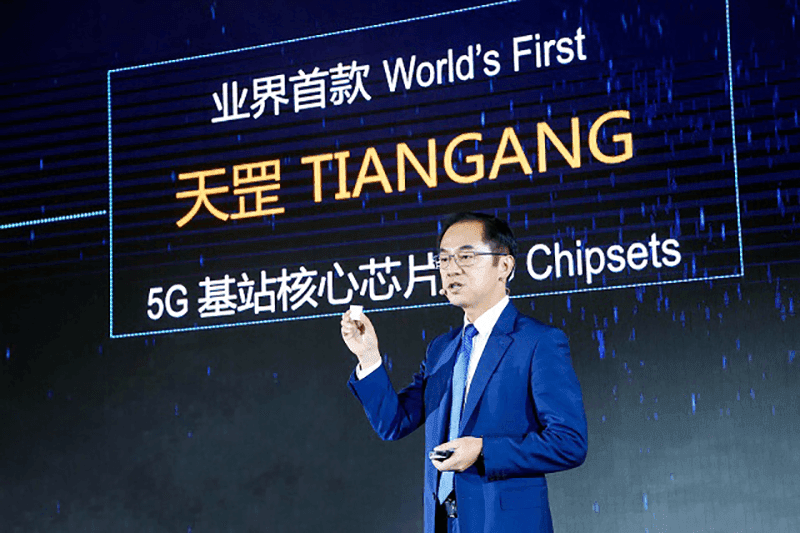 At a 5G launch event held in Beijing, Huawei announced their first core chip to support simplified 5G networks as well as large scale 5G network deployment. The Chinese giant already won 30 commercial 5G contracts and shipped over 25,000 5G stations around the world. See also: Huawei secured 30 5G contracts worldwide despite US "bullying"
The chip is called Huawei TIANGANG has achieved streamlined integration, computing power and spectral bandwidth. This chip is highly integrated, which means it can support large-scale integration of active power amplifiers (PAs) and passive antenna arrays into very small antennas. It also has high computing capacity with a 2.5-fold increase over its predecessors. It can control up to 64 channels and support the 200MHz high spectral bandwidth. This chip also allows for better active antenna units with 50 percent smaller, 23 percent lighter, and 21 percent more power efficient base stations. 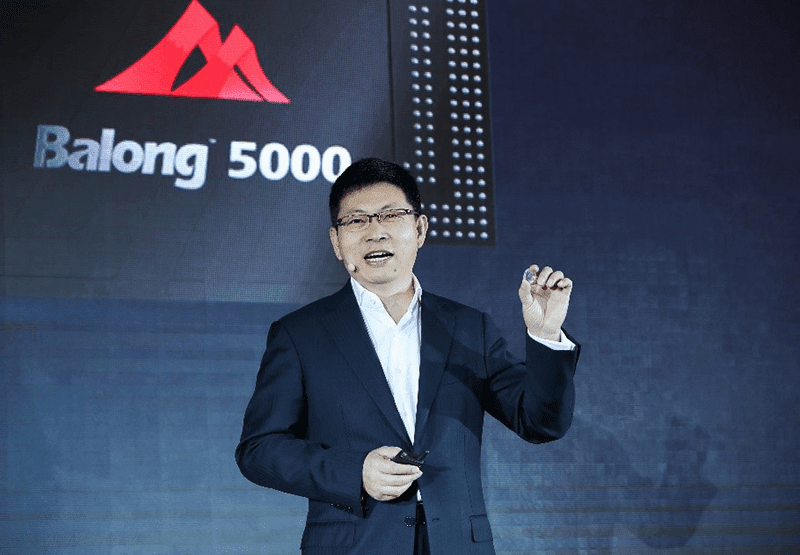 Huawei also officially launched their 5G multi-mode chipset called Balong 5000 along with their first commercial 5G device, the 5G CPE Pro. They tout these two devices to provide the world's fastest wireless connections to date. First, Balong 5000 officially welcome the 5G era. It supports a wide range of 5G products including smartphones, home broadband services, vehicle-mounted devices and 5G modules. Even at its small form factor, Balong 5000 supports 2G, 3G, 4G and 5G on a single chip. It reduces latency and is more power efficient when changing between these modes. This also makes sure the users will have a streamlined experience during the early stages of 5G deployment. Balong 5000 is also the first chipset to perform industry benchmarks for peak 5G speeds. At sub-6GHz, it achieved download speeds of up to 4.6 Gbps. On mmWave spectrum, it achieved 6.5Gbps which is 10 times faster that the top 4G LTE speeds in the market. The 5G CPE Pro is a device powered by Balong 5000. It supports both 4G and 5G wireless connections. During their tests, it can download a 1GB HD video clip within 3 seconds with a 5G network. They even claimed that it can stream 8K resolution videos without any lag. It also has the new WiFi 6 technology that allows it to deliver up to 4.8Gbps.